With every new sunrise we witness the world plunging deeper and deeper into chaos. Mankind seems to be taking the final steps off the edge and further away from sanity. The Democrat party, having once removed the word God from their party platform has exposed itself for what they really are, pure evil. The party that claims to be looking out for the oppressed and vulnerable has revealed it's true agenda, death. They have shown the world that they have no concern for the most vulnerable amongst us and that life, in their minds, has no value beyond their own definition.They are arguing that a pregnant mother should have the right to kill her baby right up to the point of birth and in some cases, even afterwards. How did we get to this point? For years, our higher education system has been in the grips of those who do not believe in God. Our universities used to exist for the single purpose of teaching students how to find and pursue truth. Since the advent of Darwinian evolution and Pavlovian conditioning however, education has moved into the realm of the scientific, disregarding Gods word in this search and leaning on man's understanding instead. Once man discovered that behavior can be trained, shaped and manipulated to serve his own ends, life lost value as it was no longer believed that men had wills of their own. B.F. Skinner once described the study of human behavior as being either pre-scientific or scientific. Pre-scientific meaning from the perspective that man was in some way able to control his behavior and scientific, after the acceptance of Darwin's theories of evolution. Darwinian evolution is a central theme in Marxist Communism. Marx needed a scientific view which justified his war against God and Darwin's theory of evolution, which claimed that humans had no divine connection or will of their own was used as that justification. Marx was at one time a devout Christian. He later became angry and turned against God. Many argue he was an atheist however, the book Marx and Satan by Richard Wurmbrand suggests that Marx developed Communism as a means of destroying God's creation. It is difficult to deny that Communism attacks the very nature of man and turns him into nothing more than a product of our behavior. Marx argued that class struggle was a natural part of evolution or dialectical materialism. The bourgeoise, the oppressor or "thesis" would naturally be overthrown by the proletariat or the anti-thesis, resulting in evolutionary progress of the species. Marx, according to Wurmbrand, reduced man's behavior to being motivated by economics alone. Love, along with other human emotions, was reduced to nothing more than a necessity to achieve economic success. It can be argued that the Theory of Evolution, combined with Marx's ideas, are responsible for the atrocities the world witnessed in the twentieth century. When the value of human life is reduced to nothing more than an accident or process or evolution, eliminating undesirables that stand in the way of other's grandiose ideas is easy. 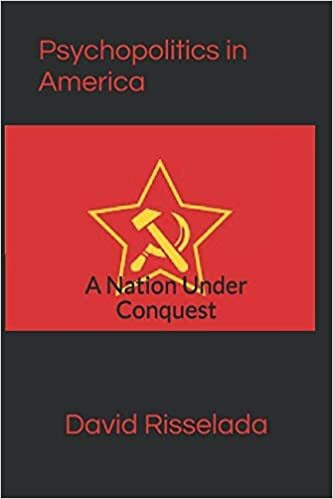 Communists killed an estimated 80-100 million people, according to The Black Book of Communism, because they were viewed as being in the way of progress, or creating a better world. If things are to change in this nation Darwinian evolution must be rejected as the main basis for scientific inquiry. It appears we may be on that path. According to an article at WND.com, one thousand scientists from around the world are rejecting the main premise behind Darwin's theory claiming that there is no way it accounts for all the complexities of life. How could a Godless theory explain the complexities in a world created by God? Hopefully, more scientists will follow and our nation can return to a state of sanity.